"The snow falls slowly and winter is here! To celebrate this, we hold the annual, Festive Winter Formal. Everyone is welcome to come with no admission. There, we will serve drinks and provide food. So come join us, as we dance on Christmas Eve, December, 24." Grovewells crumpled up the flyer he picked up and threw it in the trash. He had no one to go with. This was it. Then the phone rang. His heart sank. The girl that sits right next to you is bragging everyday in class. Her name is Rainbow Dash. You can't concentrate without her talking to you about how fast she can run or how good her grades are. But what happens when you get partnered up with her. I hope you guys enjoy this story. Give it a thumbs if you will. So here's how it's going to work out. Each chapter will be a couple from the show cannon or not cannon. And the beginning of every chapter will be the beginning of the same Hearts and Hooves Day. So hope you enjoy. Twilight and her friends are invited to a Mansion. The host is unknown until they arrive at the dinner party. But when they arrive, they notice there are many ponies there as well. There must've been like 6 people there. They were waiting. A few minutes after sitting, the lights went out. I think they exist...Just not always as you expect them. I think that there are certain people thet you'll meet in your life who just connect with you... more than anyone else, and you know that it isn't a typical thing, yet you understand each other perfectly. I think that this person will always be your soul mate. They could be your neighbor, just about anyone. Anyone you've interacted with. A person that you connect with. This is a displaced fic staring a young boy named Mark going to a convention dressed as link from the legend of Zelda: Oracles series. Something was missing though, some of the costumes equipment. He had the sword, shield, and other such nonsense, but couldn't make anything else on time. I happened to notice a lack of Zelda fics. So I wrote one. So there ! WARNING: If you know of the story with this title that got canceled, I am not stealing it. I am simply just continuing because he decided not to write it anymore. Don't worry, I got his permission. It's a beautiful day outside, for Joshua to stay inside all day and write a story. He got a little hungry. So he took a break to go and get a snack. When he comes back, he sees words in quotations that he didn't type, he deletes them. Words type up again. 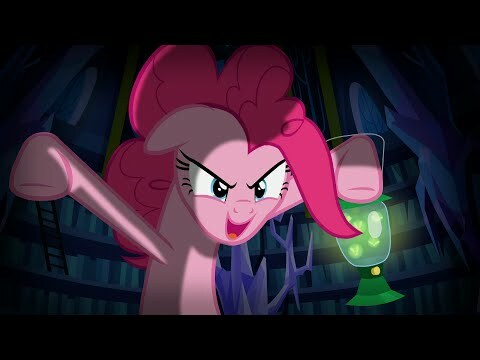 "Hiya, I'm Pinkie Pie!" I have cancelled this story. Read the fourth chapter to find out why. This story is up for adoption. This story is no longer up for adoption!! I am continuing it! Psst... I know the story cover doesn't have anything to do with the story. But I found it on reddit and found it funny. Based off the original story Cupcakes by Sargeant Sprinkles. This is what i think would be the aftermath of cupcakes. This story is about a filly and a colt who are trying to solve the case of the missing ponies around ponyville. Hope you enjoy my story. Took me about 3 months to write.